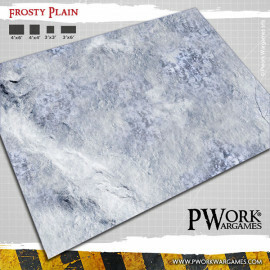 Our vinyl mats are table mats for tabletop wargaming made of PVC. They have an excellent value for money, with detailed graphics in high resolution and bright colors. Our vinyl playmats or game mat PVC are made of best quality, anti-scratch and anti-reflective PVC. 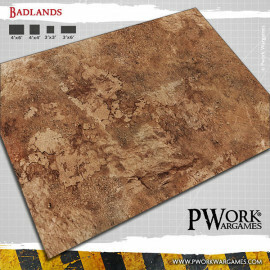 We can customize our PVC gaming mats with deployment lines and create custom products with special formats. 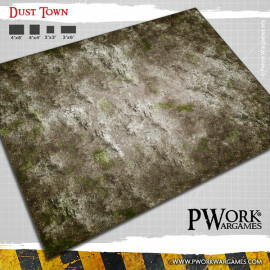 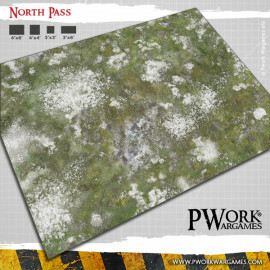 Whether it’s an historical wargame, a skirmisher or a space marines battle on an industrial planet, we at Pwork Wargames have the right vinyl play mat or vinyl game mat for your needs: durable, practical and easy to store, unlike many wargame terrain, they are one of the best solutions to represent the terrain on which to deploy your miniatures and place the scenery terrain. 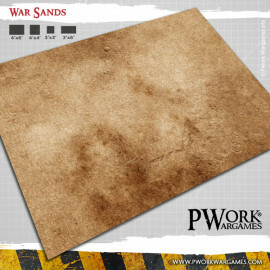 PVC wargames battle mats must be rolled up with graphics on the outside when they are stored.